It’s taken me far longer than it should, but I’ve finally gotten my McLane Edger craigslist score in a proper working order. The original issue had always been an awful squealing noise that would totally un-wind the pull cord in disastrous fashion. A secondary issue was that the cutter arm was totally frozen, would not turn, rotate or telescope. 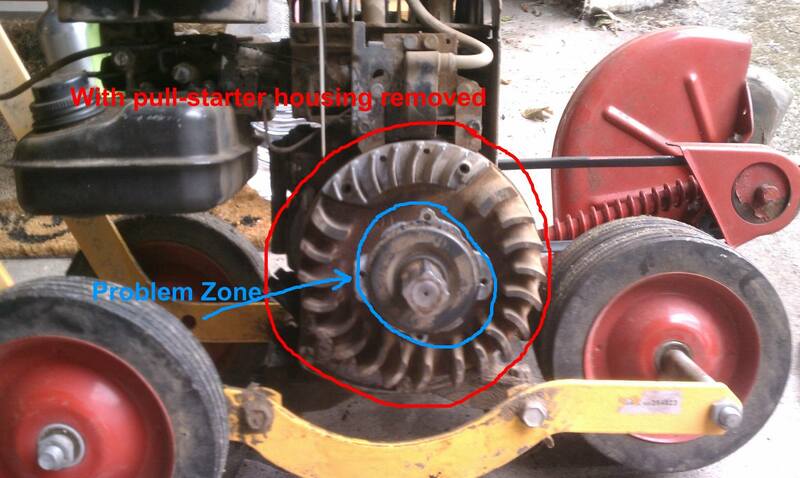 I thought maybe the cutter arm was the issue as it seemed to happen as soon as I put pressure on the engine pulley. Turns out they were un-related, after failed attemps to free the cutter arm I ended up just replacing it with a new one – best $75 spent. 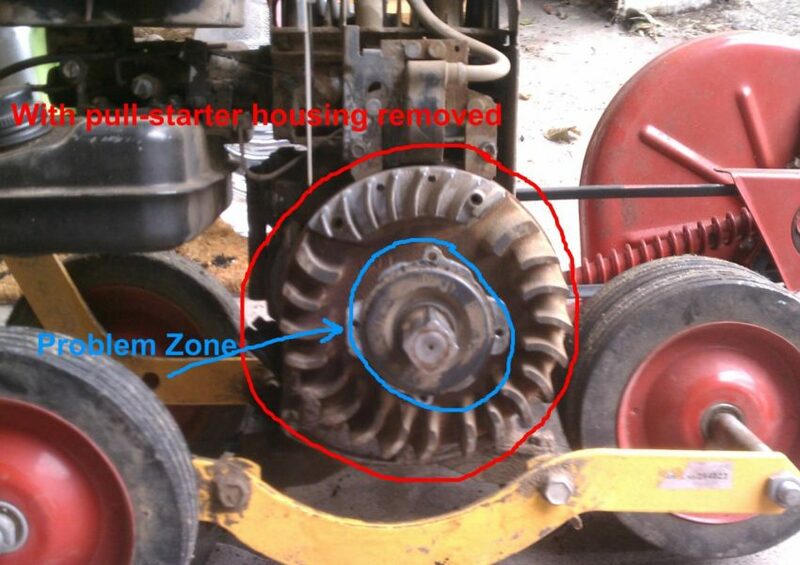 Edger with pull starter housing on, you’ll pull this off to get to the ratchet starter. This is also an example of how to change the oil, plus stuff on blocks looks cool no matter what it is. This picture shows the ratchet assembly in the center after removing the pull-cord housing. 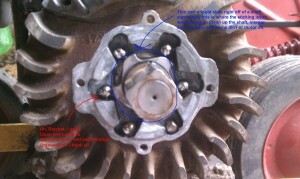 This shows the inside of the ratchet starter. I’d actually been to this point about three times, oiled and cleaned all of the ball bearings with no luck solving my problem. Wasn’t until I watched that youtube video I realized that inner shaft was the problem. I took that off, was able to clean the entire inside of the ball-bearing housing, and cleaned and lubricated the engine shaft and ratchet-post thing. My two go-to’s for cleaning/lubrication have always been some WD-40 Multi-Use Spray with Smart Straw, 12 oz. and 3-IN-ONE 10138 Multi-Purpose Oil, 8 oz. Now it runs like a champ, along with my new cutter arm it’s like new. And yes, my yard looks better than yours. Thanks for this. 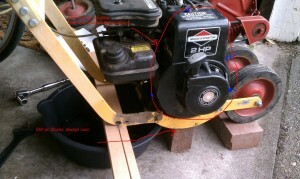 With this article and a youtube vid, I got my old horizontal shaft powered mower back in the game. Thanks for providing this! I am curious as to whether you want heavy oil or grease on the shaft. I used motorcycle chain lube. So far, so good!